This quick, easy & delicious recipe is gluten free, dairy free, & packed full of wonderful & nourishing plant powered health vitamins you will love. Melt the coconut oil over a medium heat. Remove from the heat & mix in the raw cacao powder & maple syrup. Stir until you have a smooth mixture. Add in the peanut butter & combine the coconut pieces with the sultanas. Place in a tin & allow to set in the fridge or freezer. Cut into individual slices & enjoy. 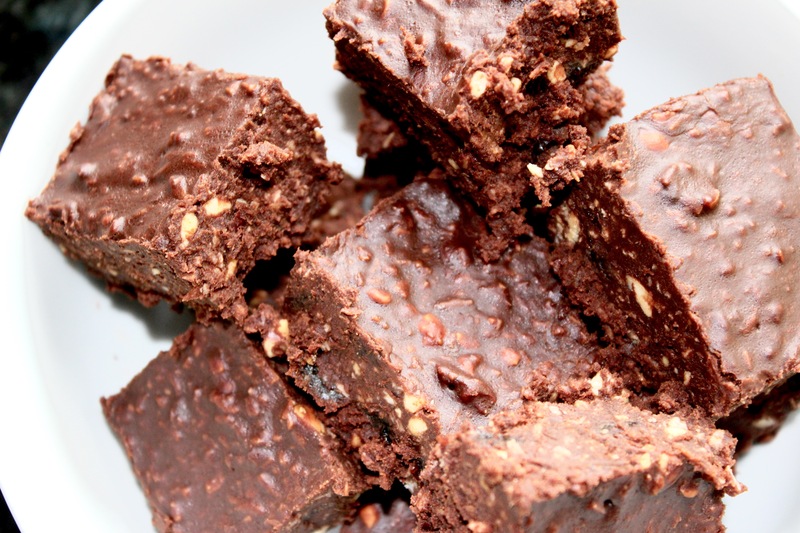 This recipe is actually packed full of antioxidants from the raw cacao & fibre from sultanas & coconut flakes. Raw chocolate has so many health benefits , from supporting the reduction of blood pressure, neutralizing free radicals & supporting cardiovascular health. Natural nut butter contains less sugars compared to regular peanut butter, & is a great source of natural protein. Sultanas are a dense source of energy containing vitamins, minerals & antioxidants. They help facilitate the absorption of other key nutrients in the body. Research suggests that sultanas promote the release of the leptin hormone that controls the feeling of fullness in the body. These healthy Rocky Roads will completely satisfy your need for a delicious sweet treat & you will be nourishing your body with fantastic antioxidants at the same time.